SEIRI Undergraduate Researcher Melanie Schieve has been named to the IUPUI top 100 for 2017. SEIRI Undergraduate Researcher Melanie Schieve has been named to the IUPUI top 100 for 2017. 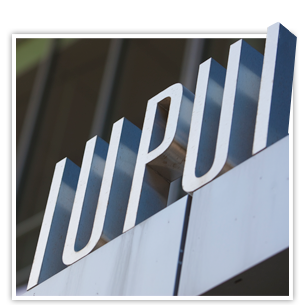 The top 100 recognizes IUPUI's top juniors and seniors. Melanie was also in the top 100 during her junior year when she was one of 3 juniors to be included in the top 10 females for IUPUI. Melanie is currently a senior in Neuroscience. Upon graduation, Melanie is joining Teach for America and will be teaching Chemistry in Boston. Melanie has been working at SEIRI since her freshman year. Melanie has also been very active in student organizations, research labs, and volunteering around campus. At SEIRI, Melanie recently submitted her first first author paper focused on student retention in STEM disciplines through, and the impact of, short-term study abroad programs.